Members of Design Technology have met and discussed what Critical Thinking looks like in their subject, how we can get our students to think critically and the tasks which lend themselves to this. Daniel Willingham, a cognitive scientist with a keen interest in how students� minds work, points out that human minds do not naturally think well and we usually avoid thinking unless the right cognitive conditions exist; we rely on memory and it provides answers quickly and with little effort. Creating problems which our students can solve and designing cognitive tasks which prompt them to think, rather than rely on their memory, is therefore a challenge! In collaboration with the L&T team, the four members of staff discussed tools from the toolkit which they have already tried with success and some which they are reluctant to try for one reason or another. Nevertheless, we highlighted that perseverance is key and some tools need to be adapted and experimented with to measure their real success! 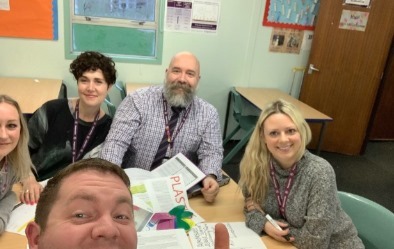 The four members of staff paired up and took part in a coaching task which involved trying and testing different CT strategies from the whole-school toolkit. 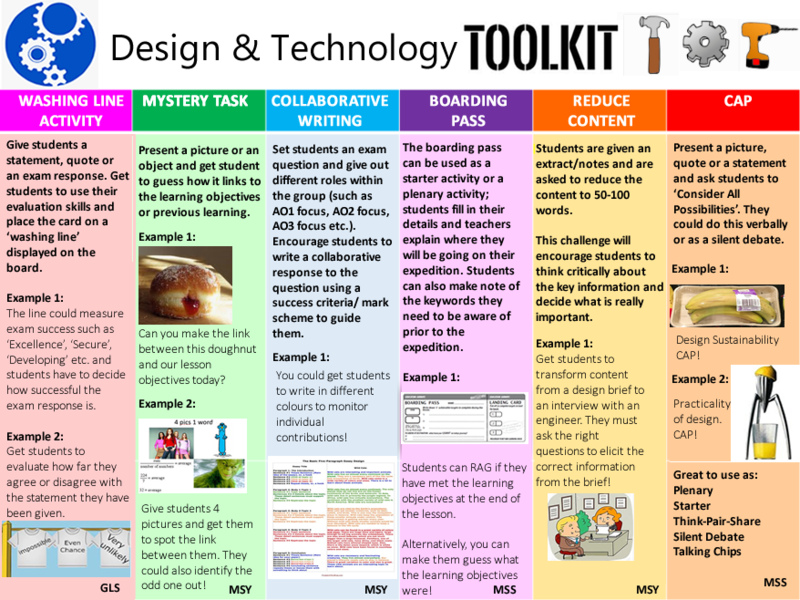 A final meeting was held in order to create a collaborative toolkit with re-usable resources to encourage critical thinking across Design and Technology. All members of the department will now receive a CT toolkit and pack of resources to use in lessons. If any middle leaders would like the L&T team to work with your department on a similar project, please get in touch with Magda or Catherine.